Yesterday, President Muhammadu Buhari declared June 12 as Nigeria’s new democracy day, saying it is no longer May 29th. He also said Late MKO Abiola will be conferred with the award of Grand Commander of the Federal Republic (GCFR). This has however attracted mixed reactions. 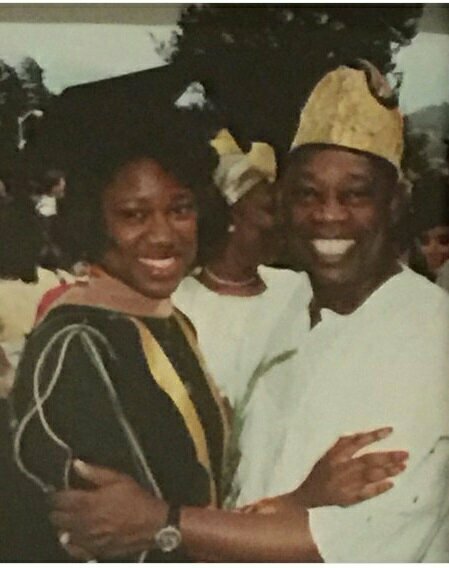 Dearest Daddy, Bashorun Moshood Kashimawo Olawale #Abiola GCFR. Wonderful to finally be able to write this, 20 years on! Thank you President Buhari. Proudly Nigerian today and always. 0 Response to "Proudly Nigerian Today & Always! MKO’s Daughter Reacts To Buhari’s Posthumous Award On Father"